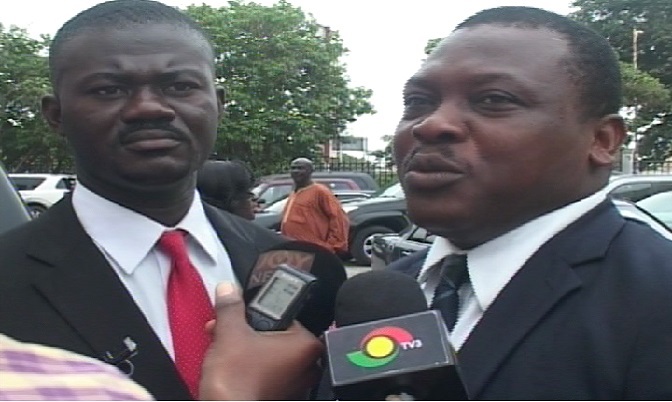 UFP Gen. Secretary Listowell Kusi Poku, and his lawyer (R)Oliver Atsu Abada. The Ghana Medical Association, GMA has filed a conditional appearance in the case brought against it by the General Secretary of the United Front Party, UFP, to determine the legality of their strike. The conditional appearance filed is to give the GMA time to put together the necessary documents while is seen by others as a process to delay the case brought against them. The Accra Fast Track High Court has adjourned the case to August 26. Lawyer for the plaintiff, Oliver Atsu Abada told journalists that his client, who is a potential patient has every right to sue. “My client is an individual who feels aggrieved by the action taken by the doctors and he feels that as a potential patient he has every right to seek clarification from court to know whether the actions they have taken is justified and whether the court wants to give him a hearing. I always say that this is a moral issue. They have filed a conditional appearance to indicate that they have a problem with the writ. Beyond the conditional appearance, they have not filed any other process because we were scheduled to hear the interlocutory injunction matter today; which couldn’t come on”. Meanwhile the Deputy General Secretary of the Ghana Medical Association, Dr. Justice Yankson, says filing for conditional appearance is not an attempt to delay proceedings as some would seek to suggest. “When we come back the next time, we will put all the reasons down for the court to know. The rule gives you a period within which to file all the process you have. And that’s what we are going to do between now and the adjourned date. This isn’t strange or against the rules so why are you saying this is a way to drag the case. We need to do what is right” he stated. The Ghana Medical Association has been on strike for about two weeks now over stalled negotiations on conditions of service. 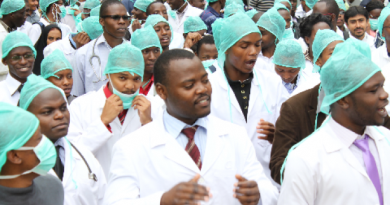 The doctors have refused to yield to pressure to resume work and go back to negotiations table as they stick to their roadmap which could see them resigning en masse soon. Meanwhile, President Mahama has described the strike as illegal insisting the doctors must return to the negotiation table. Patients have been turned away from various public health facilities, leading to death in some cases. A few public health facilities that are functioning have also been inundated with patients. The Ghana Medical Association is expected to take its next line of action at a general meeting expected on Friday August 14, after government presented them with a counter proposal on their conditions of service. General Secretary of the United Front Party, Listowell Kusi Poku who took the issue to court is hopeful the court will order the striking doctors to go back to work. According to him, he has seen some Ghanaians die as a result of “their illegal strike”.